An identity thief is spoofing their caller ID and displaying information that suggests their bogus call is coming from NBC Bay Area and sister station Telemundo 48. 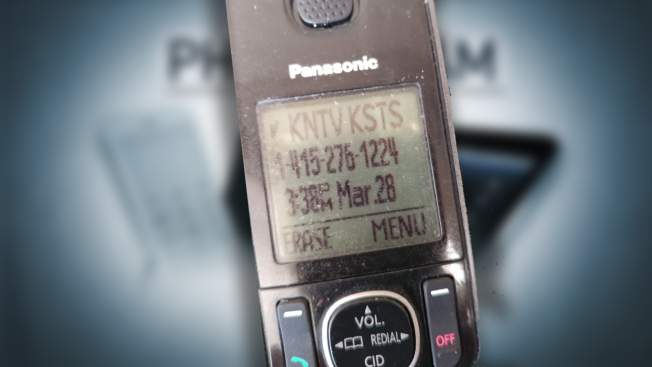 Peter Smith in San Francisco alerted us that he got a call that displayed KNTV and KSTS on the caller ID. Our call letters are clearly displayed on the screen of his home phone, along with a 415 phone number. But it was not us. Smith said the person on the other end of the robocall claimed to be from Medicare, and they asked for his Social Security Number to get him a new Medicare card. We can assure you that we did not and will not call anyone in this way. This Medicare scheme is a known scam that preys on the fact that new Medicare cards are going out in the mail. The Department of Health and Human Services has warned us about this fraud, and we have previously discussed it in an NBC Bay Area Responds segment. The robocallers who dialed Peter (and likely others around the Bay Area) merely spoofed our good name to trick you into picking up. They do this a lot. New, anti-scam caller ID tech that can combat it is currently being tested and is expected by the end of 2019. In the meantime, if you get this false call that pretends to be from KNTV and KSTS, please just ignore the imposter. If you want, you can report the scam call to the Federal Trade Commission. Or, you can call us. The real number for our NBC Bay Area Responds team is 1-888-996-TIPS.